The CH-54/S-64 skycranes are archetypal for the class and have flown largely unchanged from their 1962 configuration in a testament to outstanding helicopter design. Aerial construction ain’t easy, but the skycrane helps. Need to move a piece of extremely heavy cargo but don’t have a runway for a cargo plane? Or perhaps you need to perform precision deployment of payloads too heavy for a normal helicopter? What about if you need to put out a forest fire? Use a skycrane. It’s an understatement to say that skycranes are helicopters which perform super heavy lifting. Skycranes are multi-purpose cargo helicopters that can take on diverse utility tasks from fighting forest fires to carrying entire structures. 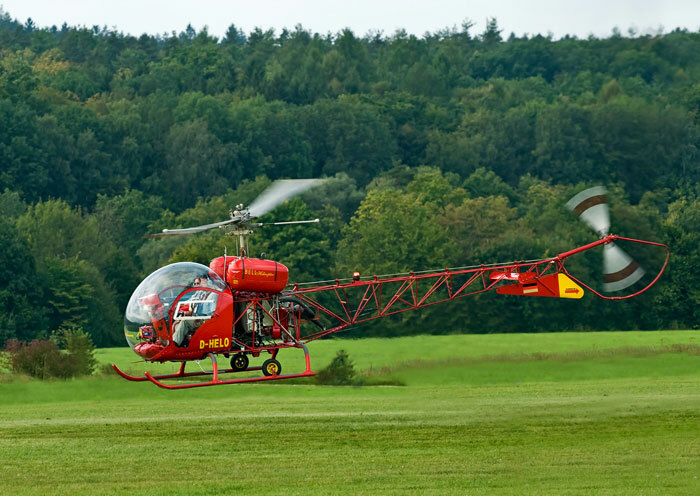 Skycranes as a group are best represented by the Sikorsky S-64 Skycrane, which many aviators will be familiar with. The S-64 wasn’t the first purpose built skycrane though, nor was it the first helicopter utilized in a skycrane role. In fact, the S-64 was the culmination of ten years of heavy lifting experience culled from other helicopters that weren’t built for the role. The Bell 47 can be considered as the first helicopter routinely used in construction applications. As early as 1946, the Bell 47 was used to lift loads to supplement traditional construction cranes, but it didn’t excel in the role due to its weak engines. Interestingly, the Bell 47 would eventually find a home in forest firefighting, joining its much larger skycrane cousins. Like most other skycranes, the Bell 47 was originally manufactured for military use and ultimately discarded for the aerial construction role because it lacked power. The US and Soviet militaries were the primary drivers of early skycrane development through the 1940s and 1950s. The US H-37 Mojave was an early attempt at a heavy lift helicopter intended for use as a troop transport. The H-37 entered service with the Army and Marine Corps in 1956 and was used mostly to recover destroyed aircraft during the Vietnam War. The H-37’s success in the heavy lifting role spurred the US Navy to request Sikorsky to develop a dedicated heavy lifting helicopter that could be used for both civilian and military purposes. Cue the S-60 flying crane prototype in 1958, an early stab at a dedicated skycrane. The S-60 combined powerful engines with a minimal cockpit and long fuselage and was intended to lift heavy loads that were attached to its underbelly via cables. The loads themselves could either hang low for deployment and short hops or be brought up to hug the S-60’s fuselage for reduced drag during long hauls. The Navy ultimately found the S-60 to have weak engines for its stated purpose, and it was rejected. The world wouldn’t see a dedicated skycrane until the 1960s. Sikorsky wasn’t about to give up on skycranes, as there was still military interest for heavy lift helicopters. This time, the Army was interested. Using the fuselage of the S-60, Sikorsky strapped on twin turboshaft engines and a different rigging system to produce the iconic CH-54 “Tarhe” skycrane, known as the S-64 in its civilian version. The CH-54/S-64 skycranes are archetypal for the class and have flown largely unchanged from their 1962 configuration in a testament to outstanding helicopter design. The CH-54 was a massive hit with the Army, who quickly developed protocols for the CH-54 to transport tanks and other aircraft safely. Civilian S-64s would find a plethora of uses, too. The CH-54 can carry up to 12 tons of cargo (!) while cruising at 240 km/h, and is deployed for aerial construction, generic heavy transport, logging, ground and air vehicle recovery, firefighting, and disaster response. Despite its ungainly shape and relative rarity, the CH-54 has proven extremely safe to fly, even while carrying heavy loads which might tend to sway to and fro as it accelerates and decelerates. The CH-54 has been the skycrane of choice in the Western world ever since. Thus far we’ve focused on the American skycranes, but they weren’t the only ones under development and deployment in the same time period. The USSR’s skycrane development cycle began with the Mi-6 in 1957. The Mi-6 was originally conceived as a heavy transport helicopter and continues to be extensively used today in both military and civilian roles. The most famous Mi-6 mission was stabilizing the melting down nuclear reactor during the Chernobyl disaster. Mi-6s were loaded with boron and tasked with dumping it over the exposed reactor core. The Mi-6’s ability to carry extremely heavy loads at a time minimized crew exposure to radiation which would have been aggravated by making additional trips, and their aerial delivery runs saved many lives. After the disaster, the helicopters themselves were decommissioned and abandoned due to radioactive hot particle contamination. The Mi-6 could carry 12 tons of cargo but required a crew of 6. The Mi-6 lacked rigging for carrying ultra-heavy loads externally, and its cramped interior meant that heavy vehicles and other aircraft couldn’t fit inside. Recognizing these drawbacks, the Mi-6 was used as a blueprint for the development of a dedicated skycrane. The Mi-10 was the mature Soviet skycrane. Much like the CH-54, the Mi-10 could carry its loads close to its fuselage, or hanging low. The Mi-10 came in a few variants, with some incapable of holding loads over a certain size close to its fuselage as a result of its landing gear being too short. The Mi-10 would set many cargo aircraft records much like the CH-54, boasting the ability to carry up to 15 tons of cargo. Unlike the CH-54, the Mi-10 wasn’t exported worldwide, and so is only used by Russia and a few other former Soviet Union countries currently, and has now also been joined by the next step up in models, the Mi-26. 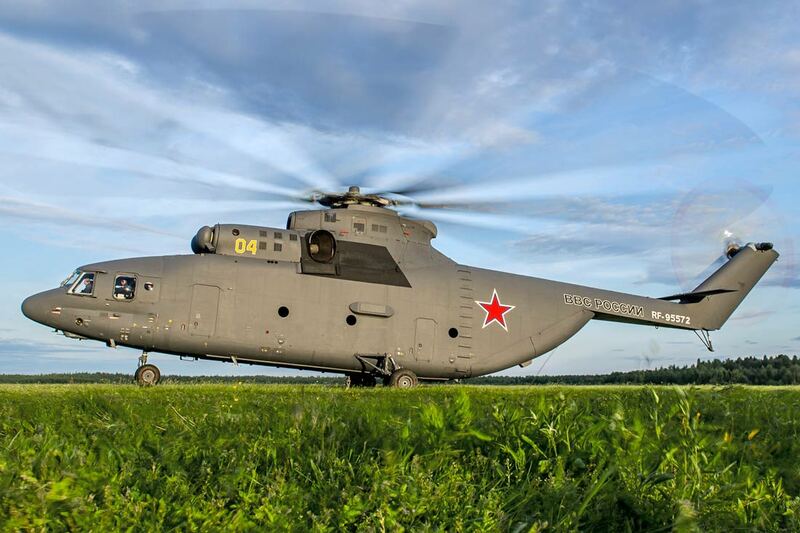 Skycrane development seems to have rapidly found its apex within the CH-54 and the Mi-10. Since the early 1960s, no major new airframes have been developed for the heavy lifting role, although there is some interest in Russia regarding making high-precision lifting helicopters with more modestly weighted payloads. Rather than consigning skycranes to their traditional role as a military heavy lifting aircraft, time has expanded their horizons. Skycranes now see use in an extensive array of roles that their creators didn’t originally envision, finding homes in the core practices of industries as diverse as logging, oil extraction, salvaging, and construction. Far from being relics of aviation history, we’ll be actively using skycranes and finding new purposes for them for years to come.